Okay, not really. I’m still Elizabeth…I’m just here swapping blogs and thoughts with Jamie. 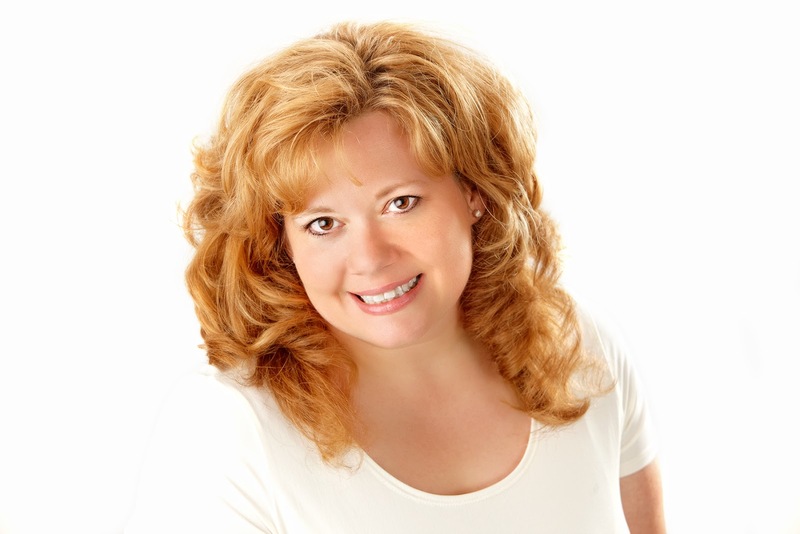 You can find her on my blog today sharing 18 Reasonable Thoughts. She’s in the midst of her new book launch; I’m on the eve of mine. Defying Reason releases tomorrow! I know I’m excited. I had fun writing this book- having the mindset of a twenty-something again was refreshing. I won’t tell you many decades separate me from my twenties, but when doctors start mentioning words like perimenopause? It’s time to walk down memory lane and enjoy the scenery. Jamie’s book is 18 Thoughts and mine is Defying Reason…soooo, I thought I’d combine the two and offer up 18 thoughts that make my brain go hmmm…. The 3 D copier. A copy machine that can spit out clothes? A gun? Can’t wrap my brain around that. They are awesome. Probably God’s best work. things is way more awesome. Still hate it. Still don’t know why I had to learn it. were a recipe I had to follow, I’d mess up at least half the time. They see the wonder in everything; we just need to listen. Fiber cookies. What a delicious idea they were. Better than anything you’ll see in the Louvre and still completely free. it can bring life. Or it can bring death. Those tiny little vessels are everywhere! From athletes to math geniuses…amazing what extraordinary things people can do. line of trouble-making, white trash stock. line of wealth-creating, blue blood stock. class, moving toward a future full of possibilities. trading a law degree for drinking games and one night stands. love. But as the summer sun heats up along the shores of the Outer Banks, so does the connection between them. Maybe, just maybe, they can win at love by defying reason. after, true love, and stories with a bit of fun and twists with their plots. dreams daily of the beach. What are some thoughts that you think defy reason? 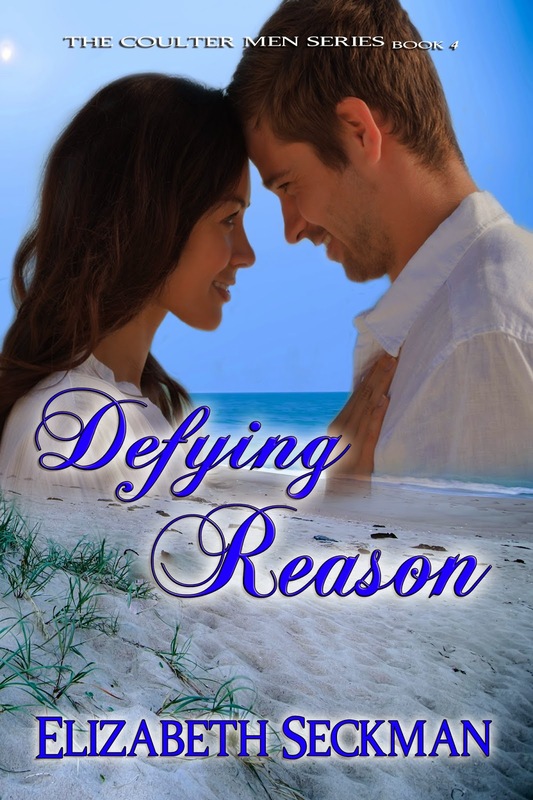 Comment for a chance to win Elizabeth’s ebook for Defying Reason! I don’t know why I had to learn Algebra either. Or Geometry or Trig. What defies logic? How anyone can look at this miraculous world and think it all happened by chance. High fives on the world! My dad once told me (and I can’t find the physicist who said it!) that to think the world was created by chance was like thinking you could drop buckets of paint from the top of the Empire State Building and create the Mona Lisa. according to my dad, and there was no one smarter than him, the odds of even making the eyeball by accident was a statistical improbability. My algebra teacher insured us it was something we’d need in daily life (actually, my geometry one too). I wonder if they live in a different dimension. *squeel* so excited for tomorrow’s release! Congrats! I’ve never used it again. If ever! All that sweat for nothing. Thanks for the squeel…love a squeel!! And I don’t get those printers at all. Messes with my tiny brain. In the printers defense, I remember hearing about the microwave when I was a kid and being blown away. I should have added people who can think of this stuff as a mind blower! I #18 #1 and #3. And I’m amazed by #14 who have the #17 to handle #6, especially when they have multiple #7. They deserve a nice getaway (bought through #8 probably) to watch #11 glisten on #12. Me, I wind up watching #16 instead, munching on popcorn made in my #4. Though #10 would probably be better for me. (Does that even make sense?) Great list, Elizabeth. Yes, it did…but I had to make a cheat sheet. LOL. So, your brain comprehends the 3D copier. I’m not surprised. And I totally agree, pregnancy and chasing other kids brings a whole new level of exhaustion and those moms deserve to watch those sunsets on the water, though I can understand why they’d opt to just watch TV instead…save the walk. And if it were me, I’d combine the popcorn and the fiber cookie- make it a chocolate chip one. Those puppies are delicious, not to be confused with the #3…I’d never eat one of those. See? Totally don’t understand what they are. So, I’m assuming they print the parts and then assemble them? I need to see that news report! ha! I love this post!! You should make this recurring, Elizabeth: random thoughts and other things that defy reason. Congratulations, too! I’m really good at random, odd thoughts Liz! Might have to do that. Microwaves!! My son and I lived without one for 5 horrifying days. Never ever again. You really don’t know how addicted you are to the convenience until it’s gone. Wait, so how do those people arrive in my TV? They’re martians, Michael. See? Some things are easily explained. Elizabeth, love your lists and the comparison of thoughts and defying reason. I must run back and add- doesn’t it make more sense to keep candy as a treat and teach people kids to enjoy it in balance rather than take it away completely? A balanced life is a good life. I love your list, although I must admit I loved algebra. Mean people stink and I love sunrises and sunsets. I didn’t have a microwave as a kid, so when I finally got one it was a huge relief. Medeia, I wanted to be wanted to be one of those people who loved algebra, but it just doesn’t sink into my brain. I am awed by people who see that garbledy-gook and it makes sense. I love microwaves! It was such a big deal when my family could finally afford one when I was about twelve. Ever since, it’s felt like a working-class status symbol to me, along with other things I didn’t always have, like a dishwasher. I don’t understand anti-microwave people, who more often than not get their misinformation from biased pseudoscience websites. My ex-roommate was so terrified of a microwave, she seriously wanted me to keep it anywhere but the kitchen. Thankfully, she moved out before my parents gave me the old microwave from my mother’s office. I remember asking my dad (he was a research chemist) about the dangers of the microwave and he assured me, unless I climb inside and turn it on, I’m fine. Well, that isn’t going to happen! I remember our first microwave- still don’t have a dishwasher- and am grateful for all the little things that make our lives easier. Algebra makes my brain hurt. I haven’t needed it or any of the math I took after it since I left high school. I am amazed by 3D printers. They seem like they can make anything. I haven’t see one in person- only on tv. Crazy! Makes mine hurt too. I mean seriously, it’s like my brain on algebra is like the witch on the Wizard of Oz on water. I would love to see the 3D printer in life too, just to see how it works. Happy release to both of you! I like that you did 18 – how cute 🙂 Cats are the best though!! Cats are super awesome too. Dogs just amaze me in their loyalty, even when humans are jerks. Cats wouldn’t tolerate that one bit. Thanks for having me over Jamie! Best of luck with your book! And, yes, pregnancy is so cool, especially considering how many things COULD go wrong but don’t! I never get over being amazed by it.